Chiropractic care is the art, philosophy and science of all things natural. It works with the concept that the body’s innate healing abilities can correct any illness or condition, as long as nerve interference is removed. Dr. Serpentelli deals with the analysis, detection and correction of nerve interference, allowing your body to heal itself. 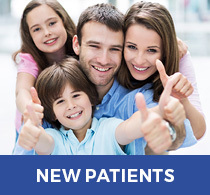 We usually recommend more frequent visits when you first begin care at our office. As we transition into more corrective care, you will see us less often. Care is custom-tailored to your progress, and we will make any alterations as necessary. Periodic re-examinations will assess and monitor how you are doing. The techniques Dr. Serpentelli uses to treat you include hands-on and low-force instrument adjusting. He utilizes the Palmer Package and Thompson Drop Technique. We can treat anyone, from the elderly who need a gentle approach to athletes looking for a manual adjustment. 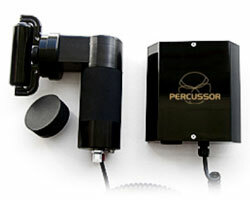 The Erchonia Percussor device is a hand-held mechanical adjustment device with a unique “Galvanic Wave” action head that provides comfort to the patient receiving percussion. 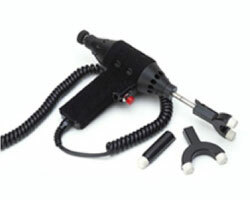 The Adjustor™ is a hand held mechanical adjustment device. Functional and Kinetic Training with Rehabilitation, also known as FAKTR, uses instruments and weights to break up adhesions. Resistance and functional movements help to restore your normal joint function. This technique utilizes specially designed instruments to break up postural and tendinous adhesions. It is not commonly offered in our area and gives you a unique solution to heal. Loomis Enzymes® target your body’s improper diet, digestion, absorption, transport and removal of waste products in your system. These problems are usually due to an enzymatic process that is lacking in the body. With targeted enzyme therapy, we can pinpoint the problem and correct it with supplements and dietary changes. Same-day appointments are available. Contact us today to get started on improving your health!